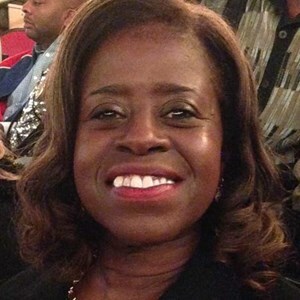 Delores Jean Smith, 59, of Louisville, Kentucky, passed away on Monday, April 8, 2019. Delores was a member of Hill Street Missionary Baptist Church and a retiree of Humana. Delores was born on January 31, 1960 in Louisville, KY to George Davis and Mary Riley. She is preceded in death by her parents and her half brother, George Davis, Jr.
Delores is survived by her loving daughter, Darjanikk (Jeremy) LaJean Ball; loving cousins; dear friends and host of extended family and friends that will continue to cherish her memories and miss her dearly. Visitation will be Saturday, April 13, 2019, at Newcomer Cremations, Funerals & Receptions, Southwest Louisville Chapel, 10304 Dixie Highway, Louisville, KY from 11am-1pm with a celebration of Delores's life beginning at 1pm. Burial will follow at Green Meadows Cemetery, 3800 Shanks Lane, Louisville, KY.
To leave a special memory or story of Delores for the family, please select the "Share Memories" tab above. Add your memories to the guest book of Delores Smith. I recently lost my own mother and so can empathize with the pain you are feeling. A mothers loss creates a void no one else can ever fill. We are so sorry and hope your beautiful memories will help you and the knowledge that our great God will comfort you. 2 Corinthians 1:3,4. and Psalm 34:18 help me. Delores, I wasn’t ready to say goodbye, my heart is broken. Your time came and you had to go. RIP my very dear friend. I know you are okay because you are now in the arms of God.